Today we have a very talented cosplayer, Lola Marie, whose different Batwoman cosplays are fantastic! Andy: What was the first convention you went to? Who or what made you decide to go to that convention? Lola Marie: My first convention was Mega Con, at Orlando, FL. I live in Miami and some friends came to visit and we all decided to go and have fun. It was amazing. A: Finish the Sentence: When I go to a Convention the first thing I do is…..
LM: Panic! 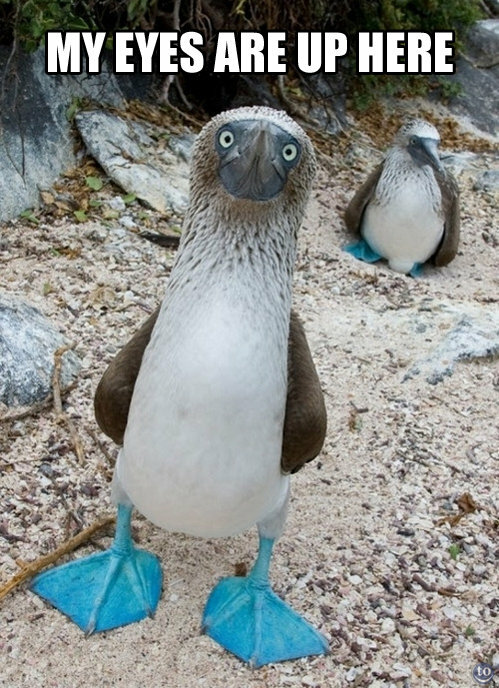 Haha, I get so nervous. 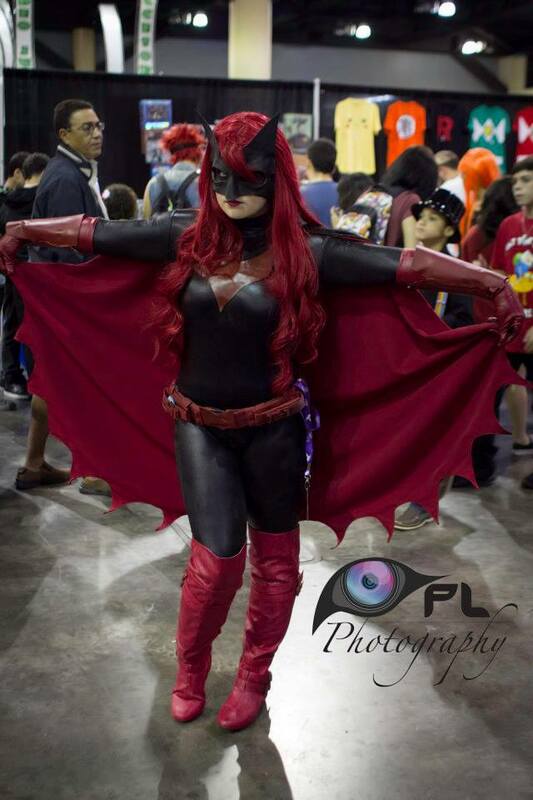 A: You wear Batwoman a lot, what first made you decide to make this cosplay? What is it that you identify with in Batwoman? What’s the hardest part in being in that costume all day? LM: I started reading the Batwoman comics and got so interested in the character, she is just amazing. And I thought that making the cosplay would be a whole new challenge. I identify myself with batwoman, cause she does the good thing but on her own way, she doesn’t follow the rules of the batfamily, [and] she does what has to be done. The cosplay was a lot of work, and was the most uncomfortable cosplay that I have worn. It was way too hot, the contact lenses were completely white so it was hard to see, the mask after a few hours was annoying and the gauntlets let me without any mobility, nevertheless it was amazing to wear it, it was something completely different, and I loved it. A: You have a Black Bat cosplay, which of the two of the bat cosplays do you like more? If you had to pick your favorite Bat family female character who would it be? Why? LM: I loved Black bat, I must confess that put more time on the batwoman cosplay so I felt in love with it cause it was a lot of work . But when I had the opportunity to wear Black Bat I was so impress, it was so comfy, and it turned out so good, that I started liking that one better. 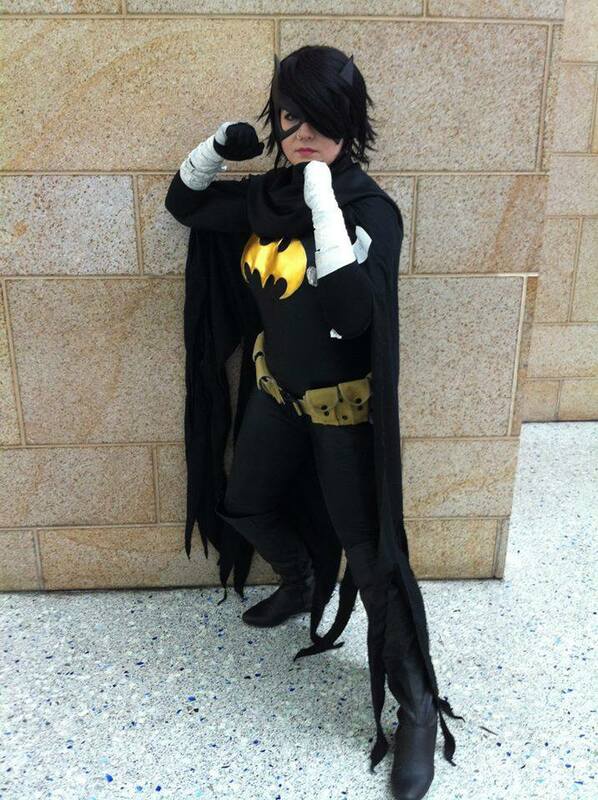 I must say Cassandra Cain , apart from being beautiful she is just so tough and fearless and I love it. 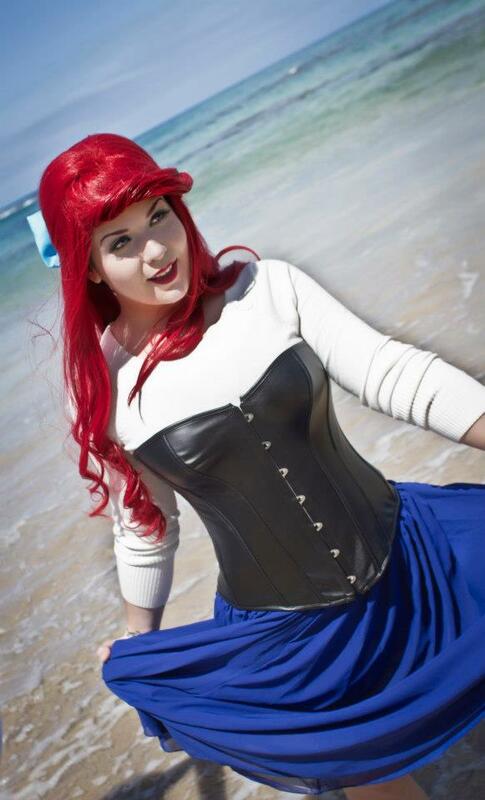 A: Ariel from the Little mermaid is another one of your cosplays? Why did you chose to cosplay her human form? What did Ariel mean to you as a little girl? LM: Ariel has always been my favorite Disney princess, I watched the movie every day when I was a little girl. So she was a big thing for me, and now that I’m all grown up and cosplaying I thought why not? I should just make my child dream come true. And I did. The cosplay was actually very simple to make, but I was very hard to act it out. I decided to cosplay the human version cause I felt more attracted to her that way, and it was easier to move around but the mermaid version is in line. A: What kind of materials did you use to achieve your Ariel cosplay? LM: It wasn’t hard to make, I bought a long skirt, modified it and dyed it. The white shirt I had it for some time, the corset was bought and modified and the bow was also modified. I think the hardest part was to style the wig. A: You were recently involved in the cosplay=/= consent, why did you decide to participate in that movement? What do you hope that it will achieve for cosplayers?